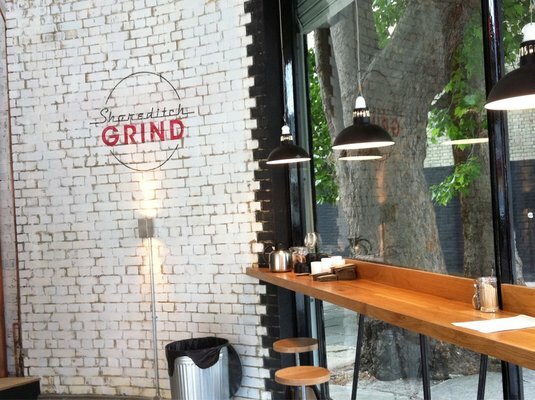 Shoredich Grind is a real treat on a hell-hole of a roundabout bang on top of Old Street station. Opened early June 2011 for "Good coffee and Great times" they have been providing this service ever since. Coffee is top notch, straight from a set of superb baristas working a La Marzocco behind the counter. 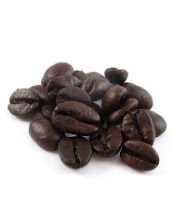 "flick your coffee bean" and "perfect cup size" to name a couple. You'll have to visit to see what the phrase of the day is. The food on offer is an all-day thing - and the offerings are good. Ask for a black card to collect rewards for your consumption.